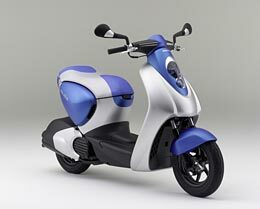 Honda has this cool scooter prototype that runs on gasoline and electric power. Yes, it’s a hybrid scooter! I am not too crazy about the looks, but the concept is cool, and it should get incredible gas mileage. 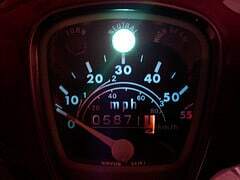 Maybe even better than the ~100mpg my C70 Passport gets! Previous PostMore Cub WorkNext PostTire is on!